The Rochester facility was constructed as a build-to-suit for ATD in 2013. 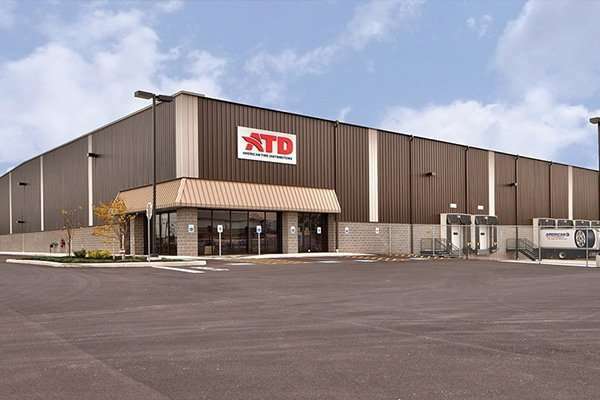 The facility is the distribution center for all of ATD’s Western New York customers. The facility has a convenient location for distribution as it is adjacent to the Greater Rochester International Airport and NYS Route 390. ATD construction requirements for the building included an Early Suppression Fast Response Fire (ESFR) sprinkler system, a highly sought after building feature for distribution facilities. Other desirable features of the building include high ceiling heights and easy dock access. ATD is the largest distributor of replacement tires in North America based on the dollar amount of wholesale sales and number of warehouses. Through decades of acquisitions and steady growth, ATD has emerged as one of the nation’s premier tire distributors. ATD serves its customers from over 100 distribution centers across the United States, with nearly 10 million square feet of inventory supported by a rapid delivery network, a field of dedicated sales specialists, an industry-leading technology platform, state-of-the-art logistics, and a variety of marketing support programs.